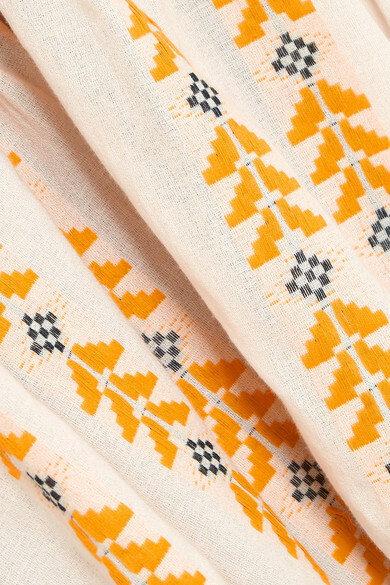 Dodo Bar Or's blouse is perfect for pairing with jeans in the city or the matching mini skirt on your next vacation. 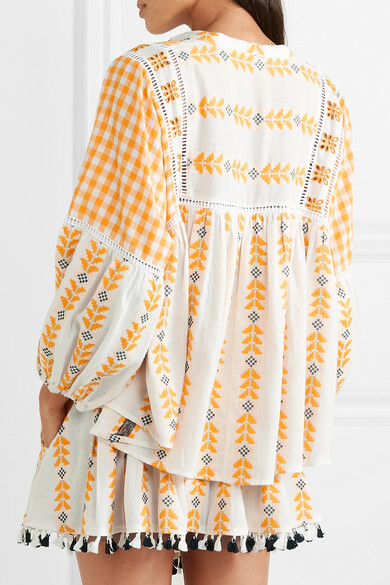 This loose-fitting style is cut from cotton-gauze that's embroidered with a geometric motif and pleated through the back. 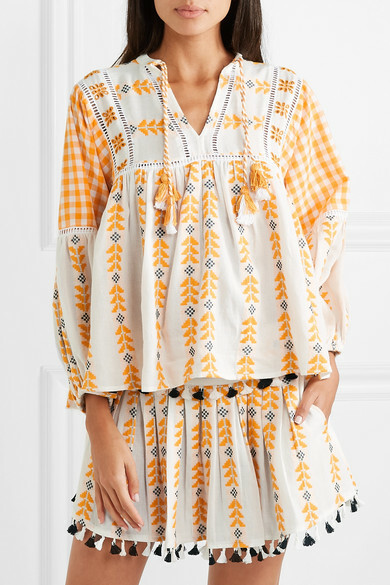 It's finished with crochet trims and pretty tassels along the V-neckline. Shown here with: Dodo Bar Or Skirt, ATP Atelier Sandals.